October half-term in London is one of my favourite times to enjoy free, high-quality hands-on workshops at the museums, especially for the under fives. The autumn school holidays are particularly well staffed and resourced, the museums pull out the stops this time of year and if you are around to take advantage of them, it’s well worth the effort. 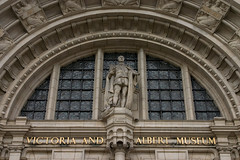 The V and A is a can’t miss in the half-term. If you plan to go early in the week and arrive 10 – 15 minutes prior to opening, you can largely avoid the crowds and hassle. They turn the Sackler Centre into a workshop where children of all ages may create animal masks, capes and headdresses. We went last year with two three year olds, a two year old and a one year old and it worked out perfectly. The staff helped the older ones get on with their artwork while the mums chased after the little ones. The toilets are very family friendly and you can bring a picnic to eat outside in the courtyard. 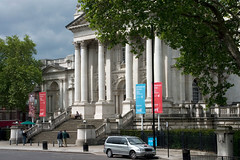 The British Museum is another fabulous place to take the kids over the school holidays. The theme is “Time Explorers”, and there are numerous events involving making replicas of famous artefacts, listening to storytelling, and creating artwork based on different periods, check the web site if you would like to know the focus for the day you plan to attend. Again, in the interest of saving money, you may bring a picnic and eat in the Great Court. The National Gallery is having a really special treat this holiday. On Tuesday, Wednesday and Thursday, for ages 5 and under, there will be morning interactive storytelling sessions in the gallery. Tickets allocated on arrival, in the Education Centre; check the web site for details and times. If the weather is nice, you may eat your picnic just outside in Trafalgar Square or head over to Green or St. James’s Park. Across the road, at The National Portrait Gallery, all week long there will be twice daily Tour and Draw sessions for children ages 3+. The children will focus on a work of art through storytelling and then record their observations with drawing. The museum is filled with numerous tiny flights of stairs, all accessible by lift, but cumbersome nonetheless with a pushchair. There is a great view of Westminster from the top-floor café, but it is not particularly push chair or toddler-friendly. The Tate Britain is putting on a day-long art extravaganza for residents of Westminster, Lambeth and Southwark. From 10 am – 3 pm families can make artwork to hang in the gallery, play in creative spaces, enjoy live music and dancing, play games and soak up the Pre-Raphaelites. The activities are for ages 5 and under, but older siblings are welcome to attend. If it is dry, you can eat a picnic outside in the gardens, or at the near-by Millbank Gardens or the Causton Street playground. diddi dance have under 5s classes running through half term for free!